I would not have been where I am today, if at all, without your help in the past and I want you to know that probably nobody has had such an impact on my life as you have. 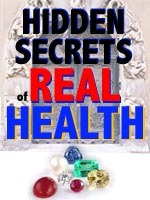 I have been looking for you on the internet and it wasnt before last month that I found you and immediately downloaded your fabulous book Hidden Secrets. I also bought the Energy Egg and again I had the wonderful experience of finding something that works. The last 3 weeks have been really very good, I am happier and much more energetic." Tom then made an Energy Solutions appointment because of some other health issues. During his Energy Solutions consultation, he reminded us that he'd had to carry adrenalin shots before he first came to the clinic since, even if he ate food cooked in a pan in which fish had recently been cooked, he might have found himself once again rushed to hospital with a life-threatening, anaphylactic reaction. So he'd had what doctors like to call an "allergy" as opposed to a "hypersensitivity" or "intolerance." Since his original treatment in 1987, Tom has had no more serious fish allergy except occasionally experiencing some passing tingling or throat constriction – but often from fish that on other days doesn't cause any reaction at all. Today we have a much more precise understanding of the bioenergetic mechanisms underlying allergies and "intolerances" than we did in the 80's. Simply put, a "foreign energy" – an energy received from someone else, or from a certain object or place – penetrates a specific point in a chakra, disabling its ability to process the energies of a particular area of the environment, leading to a hypersensitivity to that area of a person's world. ...and that's only a few of the many possibilities. Any kind of chakra damage generates hypersensitivity, or a reactive condition, to something or other. Consequently, since all people suffer some chakra damage due to foreign energies received from parents, siblings, lovers or other close relationships, we all have a degree of allergy or reactive conditioning that influences our thoughts, feelings, behaviour and beliefs as much as, or even more than, it may influence our physical health. However, what you are allergic to isn't really the point. An allergy is, fundamentally, just a reflection of the type of damage occurring in a certain area of your energy body due to the presence of an invasive foreign energy. 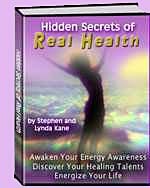 Eliminating the foreign energy so your energy body can heal – during which process the allergy naturally fades away – is the complete response to any form of hypersensitivity, whatever method is used to achieve this. In his recent Energy Solutions, we showed Tom how he could eventually completely eliminate the foreign energy from his energy field that was still causing contractions in his 4th and 6th chakras, and which underlay his fish allergy. The foreign energy had been pushed well away from his energy body, by his treatment in 1987, but it was still having some effect. Tom had used one of our automatic personal instruments – called a Healer – which had managed to strengthen his energetic immunity sufficiently for the foreign energy to be pushed about 10 inches out from his 6th chakra. However, complete recovery from an allergy depends on complete elimination of the invasive foreign energy from the energy field – which extends approximately as far as your arms can reach. As many of our clients – who, incidentally, include some prominent allergy specialists – have discovered, depending on diagnostic techniques such as RAST, electroacupuncture, muscle or skin prick tests, together with treatment responses such as allergen avoidance, rotation or desensitisation techniques – is rarely sufficient for complete healing. These approaches miss many less obvious allergens, then either ignore the underlying cause of the allergy or reduce reactions in ways that cause new (iatrogenic) problems to start developing. Unfortunately, the gradually emerging problems – often years after "desensitisation" – aren't necessarily associated with an allergy because the reactions are either not sufficiently dramatic or immediate to be recognised as being reactions. Avoiding allergy triggers, or masking overt reactions with desensitisation methods, are low-quality solutions that invariably pave the way to chronic, degenerative conditions. 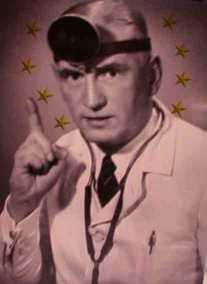 The only truly effective response to any form of hypersensitivity is one that causes the underlying foreign energy to be fully eliminated first from the energy body then from the energy field. This may be achieved by a number of means such as, for example, accurate homeopathy, certain exercises or various bioenergetic technologies. The Healer that Tom used to achieve his rapid recovery back in the 80's is scheduled to be reproduced later this year in a much more powerful and comprehensive form, as a new type of Energy Egg. We hope this will help people easily achieve dramatic reductions of many of their long-term hypersensitivities – known or unknown – and their consequent symptoms, illnesses or other challenges. To your health, happiness and energy awareness!